Peach Embroidery Thread Work Raw Silk Designer Wedding Lehenga Choli. Buy online shopping lehenga choli at - UAE. 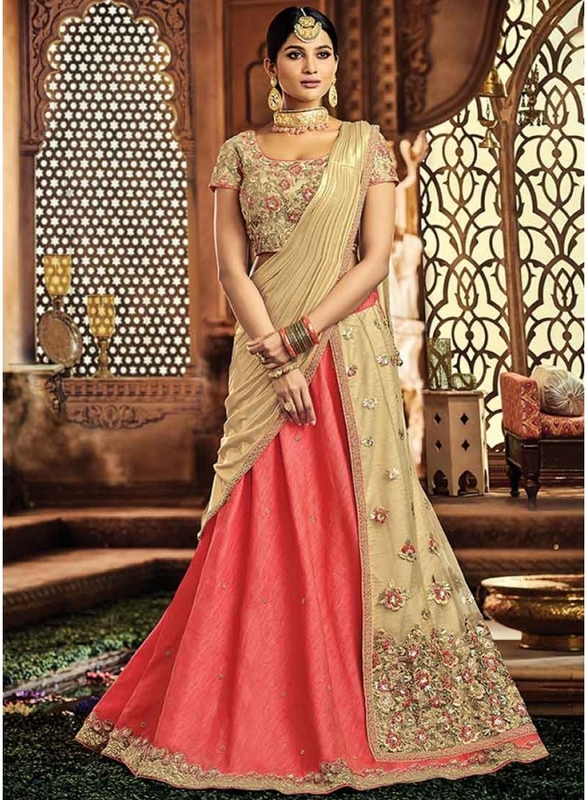 Peach Embroidery Thread Work Raw Silk Designer Wedding Lehenga Choli. This beautiful choli is designed by various fabrics like; Raw Silk And Super Net Lehengas, Fancy Net Blouse and Lycra dupatta, Satin inner. Heavy Embroidery Thread Embroidery Cord Work, Thread Work, Diamond work and patch border lace work is done in lehenga. Blouse is designed with Embroidery work. Patch Border lace work is done in dupatta. Tags: Peach Embroidery Thread Work Raw Silk Designer Wedding Lehenga Choli.